I'm Southern so that means I like mayonnaise. 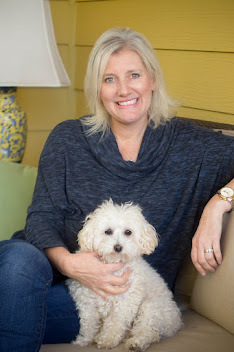 I didn't always like it, but after my first pregnancy I became a fan and started putting the either "loved or hated" condiment on my sandwiches. I'm a huge fan of tomato sandwiches with Duke's mayo on honey wheat bread with a little salt and basil. It's an acquired taste. Since I no longer scrunch up my nose at Mayo, I can eat most any type of salad that is served at a Southern potluck. You know...potato salad, pasta salad, slaw, macaroni salad, broccoli salad, chicken salad, ham salad, tuna salad and shrimp salad. I'm starting to sound like Bubba Gump here, but you get the idea. 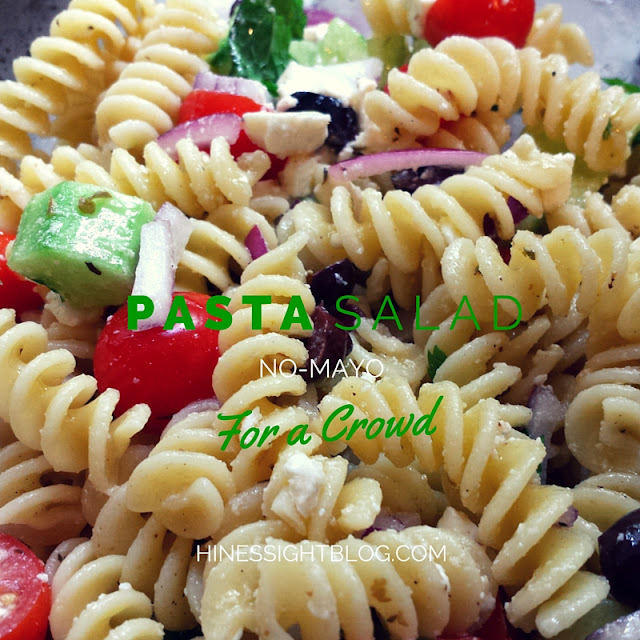 It's often very difficult to find a pasta salad recipe that does not have mayonnaise as a base, but that is what I wanted to take as a side dish for a Cub Scout kick-off function this month. Kids don't really like mayonnaise and many parents don't either these days. Mayo does add extra calories. This no-mayo pasta salad holds up well for outdoor functions. I think it's delicious. It's a mixture of several different recipes that I combined from my cupboard. Cook pasta according to directions. Combine olive oil, lemon juice, garlic and oregano in a large bowl and whisk to combine. Season with salt and pepper. After pasta is drained, transfer the pasta to the large mixing bowl with dressing. Stir to coat the pasta and let the pasta come to room temperature. This process takes about 20-minutes. 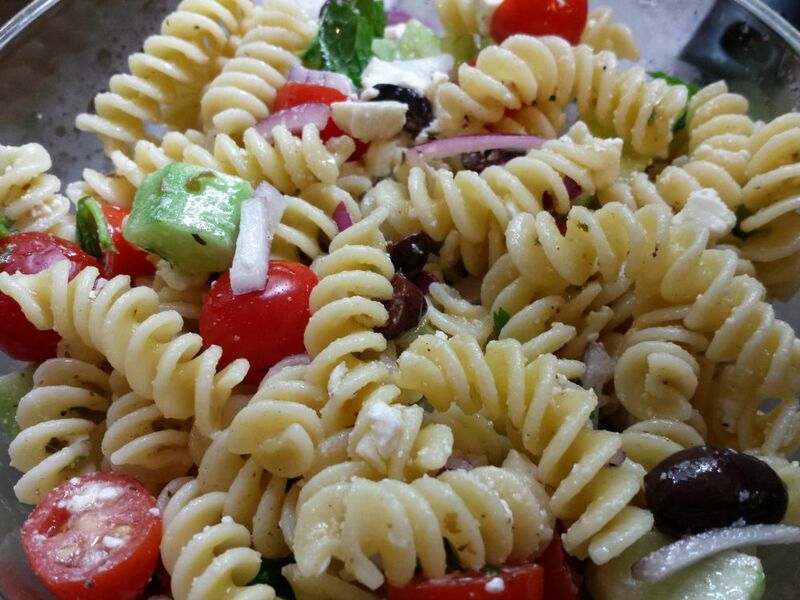 When pasta is at room temperature, add tomatoes, cucumbers, olives, onion, feta cheese, and mint. Mix well. Add more salt and pepper to taste. Cover and refrigerate until ready to serve. I hope you enjoy it for your next function.